Aurora Borealis is my latest color abstract photography work. Having lived in Alaska for most of my adult life, my latest color abstract photography work represents an homage to that recurrent and gloriously luminous light show I have witnessed in the winter heavens on seemingly countless occasions. The Barnes Foundation Gallery in Philadelphia is presently featuring a collection of some of the earliest photographic works known to man. Julia Margaret Cameron’s ‘King David and Bathsheba (Henry Taylor and Mary Hillier)’ (1869) PHOTO: COLLECTION OF MICHAEL MATTIS AND JUDY HOCHBERG. From the 17th century until the end of the 19th century, the fine arts academies of Paris and London considered history painting to be the supreme visual art. Large-scale, theatrical pictures illustrating stories from history, mythology, or the Bible sought to enlighten the populace. Technical limitations prevented early photographers from taking pictures of this kind. (Long exposure times, for example, made it impossible to capture complicated multi-figure scenes.) But as cameras became faster and easier to carry, photographers realized they could narrate important events as they happened. Increasingly, in the 1870s and 1880s, photographs accompanied news stories in the press. Gustave Le Gray’s ‘The Great Wave, Sète’ (1857) PHOTO: COLLECTION OF MICHAEL MATTIS AND JUDY HOCHBERG. By the end of the 18th century, Enlightenment thought (which centered on reason and intellect) had increased the popularity of portrait painting. Successful artists sought to convey a sitter’s personality, or inner life, in addition to capturing physical likeness. Early photography struggled with such nuance. The daguerreotype, the first popular photographic portrait medium, required an exposure time of several minutes to produce a detailed picture. Sitters had to remain perfectly still, in bright light, for extended periods of time. 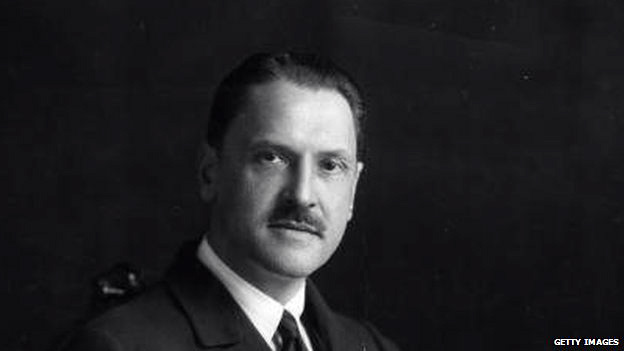 They often appeared rigid and expressionless in the resulting images. Nonetheless, for a growing middle class who could not afford painted portraits, photographic likenesses were in great demand. Though they had only entered the market in 1839, daguerreotype studios in Paris were producing more than 100,000 portraits a year by the early 1850s. I would love to see this exhibit firsthand. Because of its direct relation to the world of art, I thought I would quickly note that I recently had the fortunate opportunity to see this film. While the “shaky camera” viewpoint does at times become a bit monotonous, I believe the overall work is a great success. 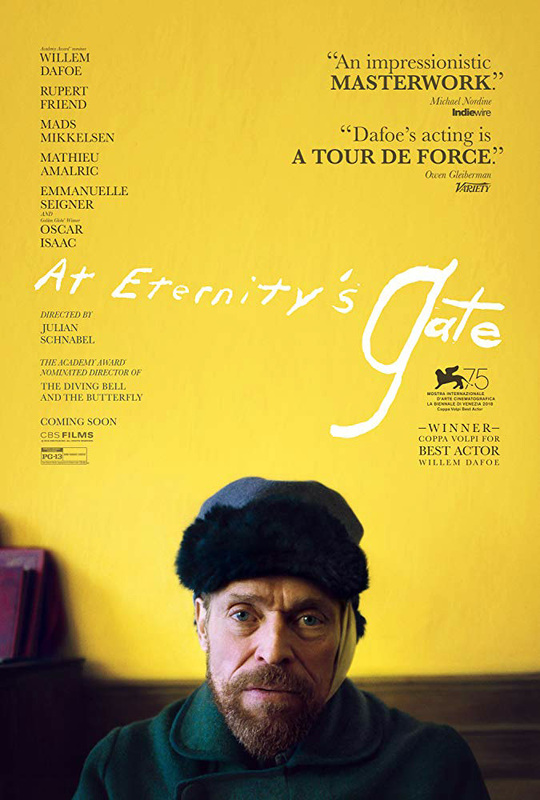 Willem Dafoe, who has been nominated for an Academy Award for his betrayal of Vincent van Gogh, is captivating as ever. In the film, Paul Gauguin, who was not only a fellow artist but close friend to van Gogh, said that van Gogh’s work was more sculpture than painting. Indeed, and what the world gained because it was so. Wishing everyone a safe, healthy, and prosperous New Year! Ansel Adams has often been looked upon as the master of black-and-white landscape photography. Yet this longstanding status as guru of the craft has not been without its manifold critics. This Wall Street Journal article highlights a new exhibition “Ansel Adams in Our Time” at the Museum of Fine Arts, Boston, which seeks to bring new understanding to the old virtuoso (1902-1984), especially in comparing and contrasting more modern artists. I’d love to peruse this exhibit. 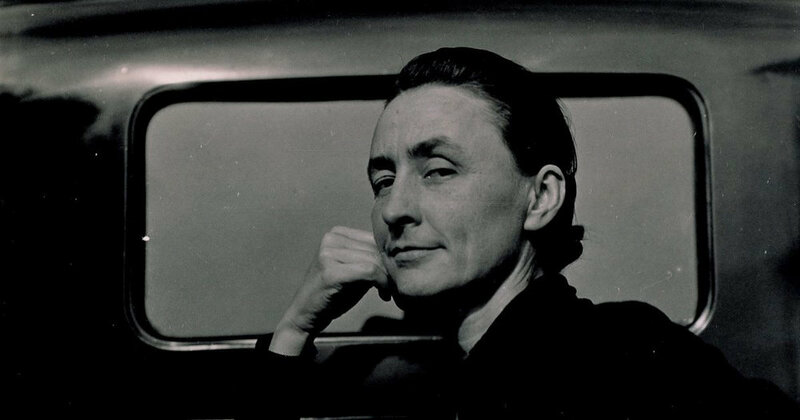 Google’s Arts & Culture site has done a marvelous job highlighting some of the works of one of my favorite artists, the legendary Georgia O’Keeffe. Additional O’Keeffe works will be added in the future, of course, but what Google has masterfully digitized thus far represents are real treasure. I have never played with Lego toys, but the following caught my eye (obviously). Taiwan-based photographer, designer, and LEGO builder Helen Sham has created an incredibly realistic Hasselblad 503CX medium format film camera using LEGO blocks. If you were (or are) a Lego fan or a photographer, check out the video at the bottom of the page as well. Brief but beautiful "landscape" timelapse video of a tornado. Be sure to view in 4K mode if your video hardware supports it.